Music of the folk and bluegrass variety is where our heart resides, to be sure. But occasionally, that heart develops a crack and into that splinter runs a flood that can only be dammed with music of the country variety. Call it something one might be genetically predisposed to, call it out of character. When it comes to the Turnpike Troubadours, as it turns out, we cannot help ourselves. There is most likely an ancestral affectation here, unexplainable really, that makes all of us like the music of that country genre. Some of us here in the Ozark hills are more prone to it than others but it gets even the best of us at times. Those of us that fight it on merit are suspectible not to the latest Jamey Johnson-penned jam and certainly not to Kenny Chestnut’s latest radio single but instead to things that bear the markings of the folk music we so love: violins, banjos, a harmonica every now and then, maybe a pedal steel thrown in for good, unique measure. But most of all we are sensitive to it because of the story it holds within it. 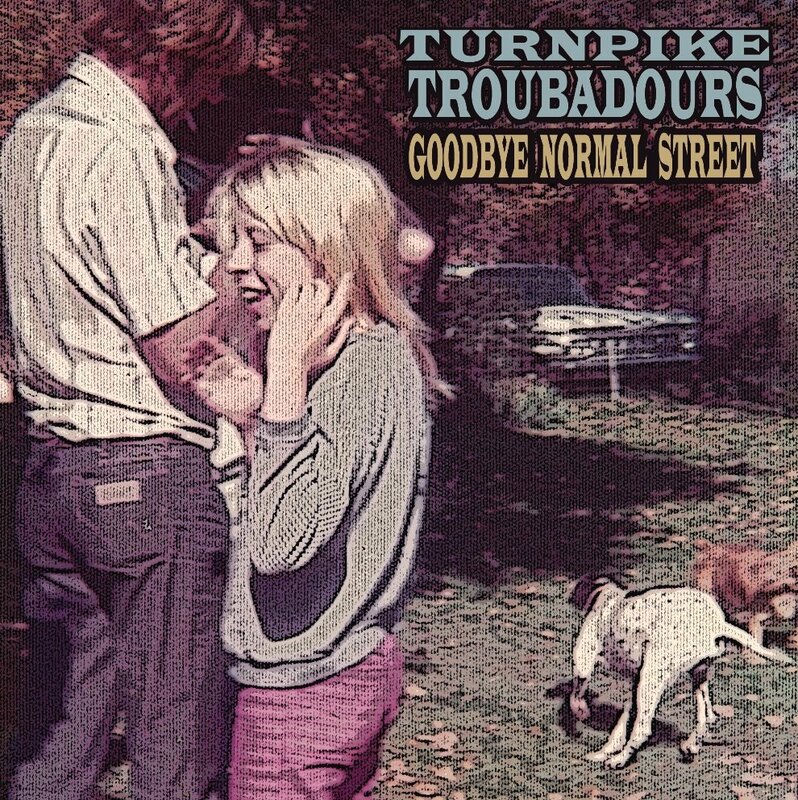 The Troubadours latest, Goodbye Normal Street, is a study in what country should be but when coupled with with their last two albums, Diamonds and Gasoline and Bossier City, it is a study in what music as a whole should be. There is an honesty in the music, bolstered by the candor of lead singer Evan Felker’s vocals and songwriting, that cannot be denied. Anyone that’s suffered a broken heart, anyone that’s ever nursed a hangover, anyone that’s ever felt exactly like an old country song, will understand. And really, who among us has not lived one of those? It shouldn’t be a surprise that we’re finding the music of Felker and crew so appealing. There is banjo, there is harmonica and violin, and there is a pedal steel, all things that we appreciate in our more folky jams. At the base of every folk song is a story and not just one being told to be told, but one that has to be told. What’s so appealing about the Troubadours catalog is that those songs are that indeed. It should be evident in every country song these days but the genre has taken a back road in a 4×4 and those of us without just cannot follow. It seems that country music isn’t country music any longer unless it’s of the red dirt variety. While your radio would imply that the heart of country music has been crushed by mainstream inattentiveness and fickle tastes that tend more toward pop music than The Highwaymen, the Turnpike Troubadours prove that country is still viable and real. Country is still out there and it’s still doing what it was dreamed up to do: Honoring the folk tradition at it’s base and doling out a countrified dose of rock with more true emotion than rock ever does. For proof of that, one need not look any further than the Turnpike Troubadours. Turnpike Troubadours are playing Cartoon’s in Springfield on 17 November and we’ll be there. You should, too. Check the rest of their dates here.